Do you feel like a customer or a number? Do you feel as valued as you think you should be? This is the last in a 7 post series looking at understanding your Managed Service Provider and the questions you can ask to ensure you are getting exactly what you are looking for. With so many suppliers out there offering Managed Services how do you know that the one you are looking at is the right one for you? With so many factors to consider it can often get complicated, but I hope that this series has provoked some good conversations with your provider (potential or otherwise) and helped you move your business forward. If you have any further questions regarding managed services then get in touch with us now. Anyway, here is the final part, thank you for reading. We all want to feel like we matter don’t we? Is there anything worse than realising that our thoughts or opinions are not important, or that are services aren’t needed? And this is why an understanding of you, your business and your business needs is something that should be at the forefront for any Managed Service Provider. Being able to grasp that your engineers have a particular feeling towards a certain technology or that Michelle on the front desk is totally technically averse helps formulate better decisions in the types of solution delivered. Knowing your business goals and future growth strategies is fundamental for a Managed Service Provider to set you on the right path, and continue to take you on that journey. It also shows an attention to detail and an understanding that every customer is as important as the other. Your business shouldn’t be neglected or taken for granted, it should be respected and understood. How does your current Managed Service Provider treat you? Do you feel like you know them or does it feel like they dictate to you a bit? What types of customers do they have and how long have they been with them? Managed Service Providers that can happily quote lengthy contract terms with some well-respected companies will certainly put you at ease regarding their abilities, but where do you fit into that eco-system? How do they align themselves to your business and how do they plan to operate? How much of your services are they managing and are they planning on working in partnership with you, or for you as a supplier? The two are very different as I discussed in a previous post regarding how your Managed Service Provider will operate. Does it feel they want to forge relationships with you and help your business progress forwards? What practices and activities does your Managed Service Provider conduct to help you understand your networks, systems and business? Do they contact you regularly or only when it is time to renew? Do they recommend new technologies and ideas that will help your business move forward? Do they hold workshops or seminars where they invite customers and industry experts to discuss new technologies and unearth new possibilities? 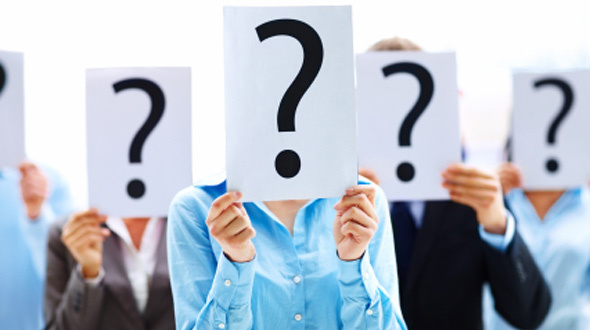 How often do you speak to your Account Manager and do you know who it is? How does your Managed Service Provider support your business should something go wrong? I discussed in the previous post in this series how important it is to have a single point of contact and someone you can rely on to deliver the support you need. How are projects undertaken and worked on? Are you treated respectfully and given the guidance and advice you need from engineering and project managers? For instance when you come to make moves, adds and changes or open a new site, how is the process handled? What is their support ethic like in the business? What types of services and metrics do they have in place to help you avoid trouble on your networks and how do they respond? Your networks are critical and the implementation and support of those needs to match your needs and requirements, not the other way around. Your Managed Service Provider should, at the very least, understand your needs well enough to implement a system that delivers what you are looking for. At best, you should have a personal contact point that knows you, understands your business making valuable contributions and suggestions without prompting helping you to get the most out of your networks and your staff. They should be someone you can easily talk to and someone that knows about your love of fishing and cricket and how your business works. How close do you feel to your Managed Service Provider? Are you a customer, a client or a partner? To talk to us about how partnership and understanding fosters success then get in contact with us now and let us explain how long lasting relationships are helping our customers drive productivity.